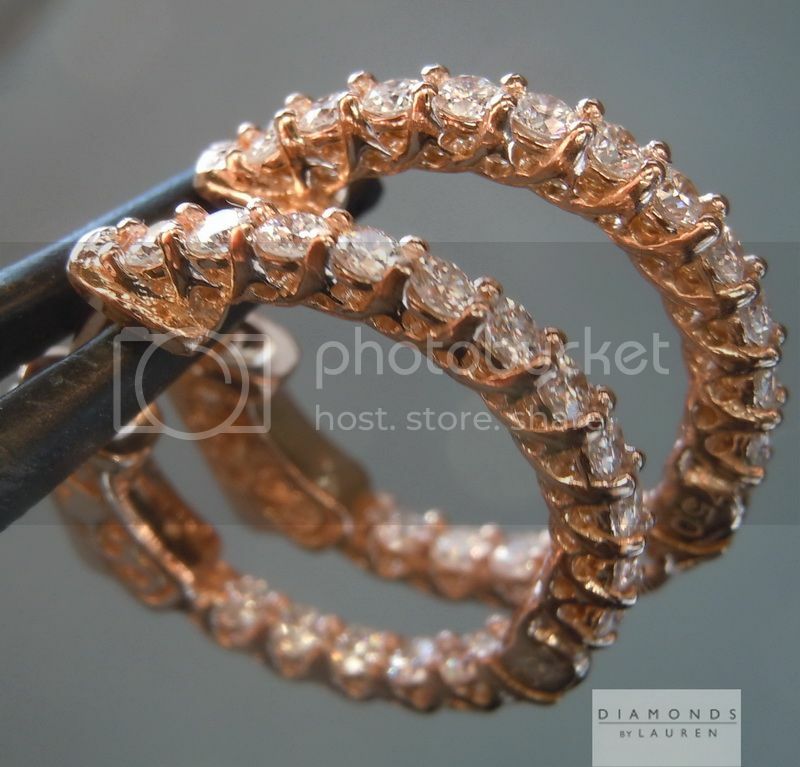 The white diamonds look outstanding in pink gold - Fancy Light Pink Diamonds would triple the cost. 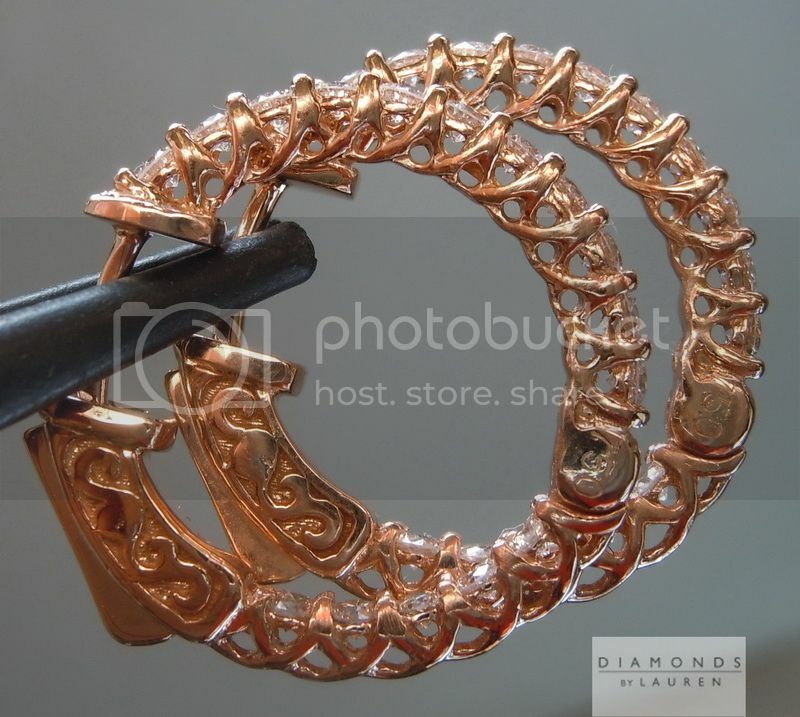 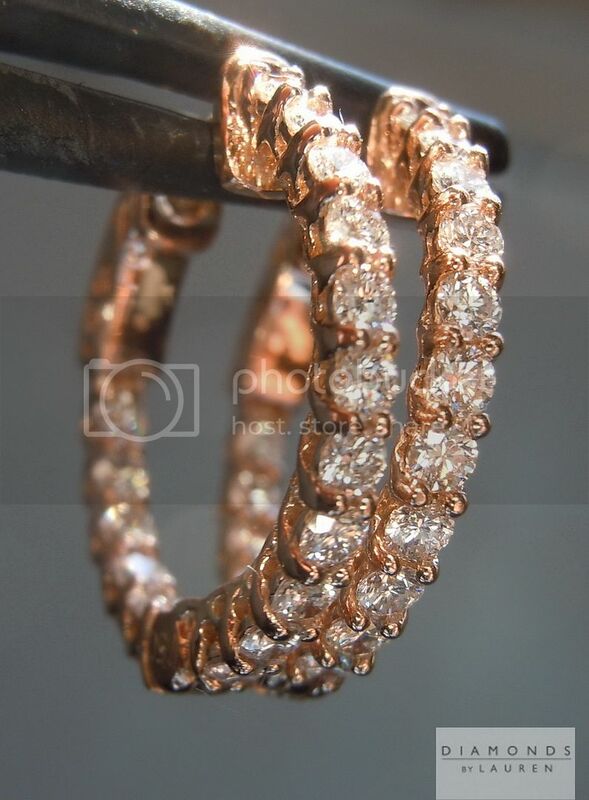 The design features a lovely "underwire" design and forward facing diamonds on the rear of the earrings. 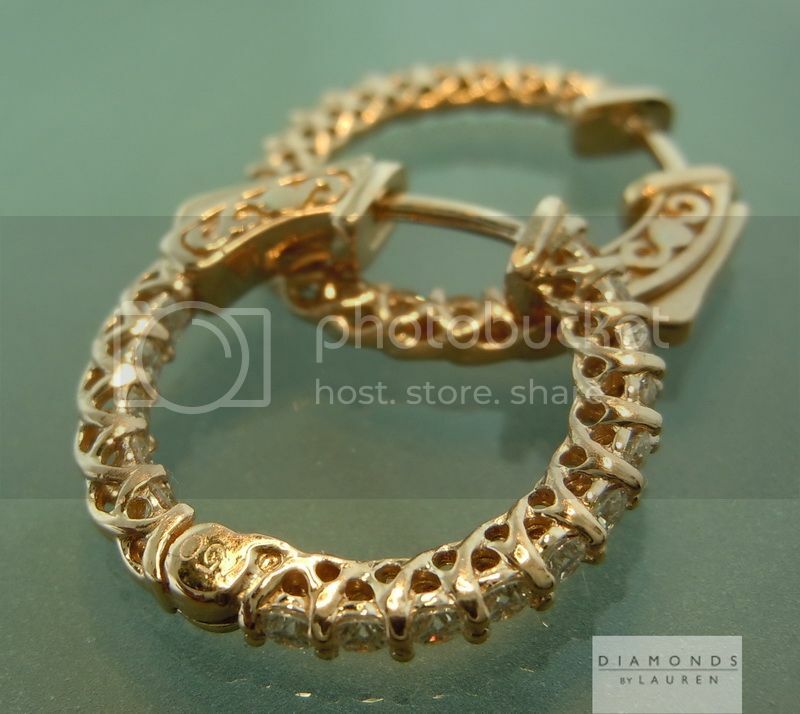 The safety clasp makes these very secure - you need to press the little button to open the earrings. 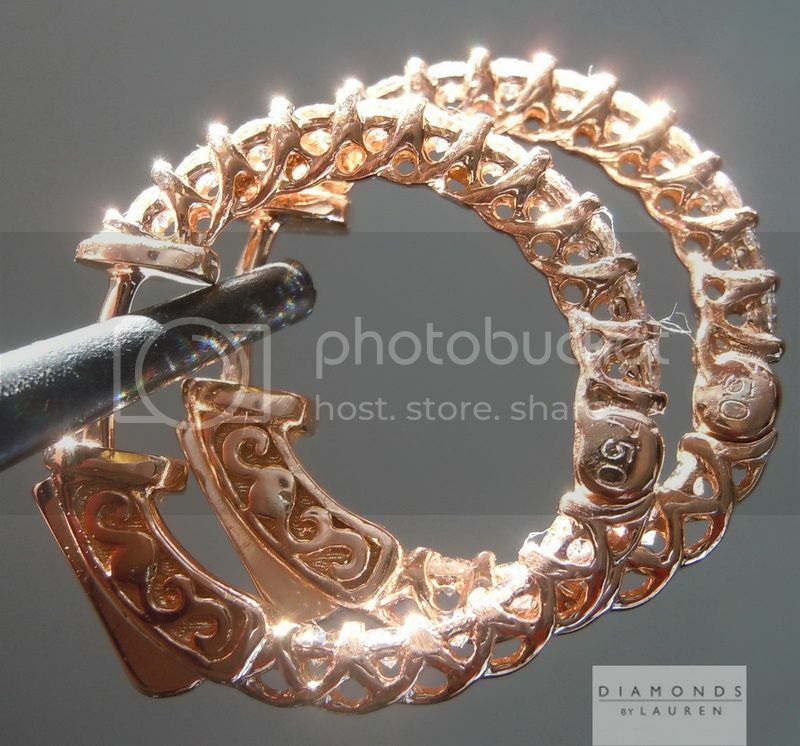 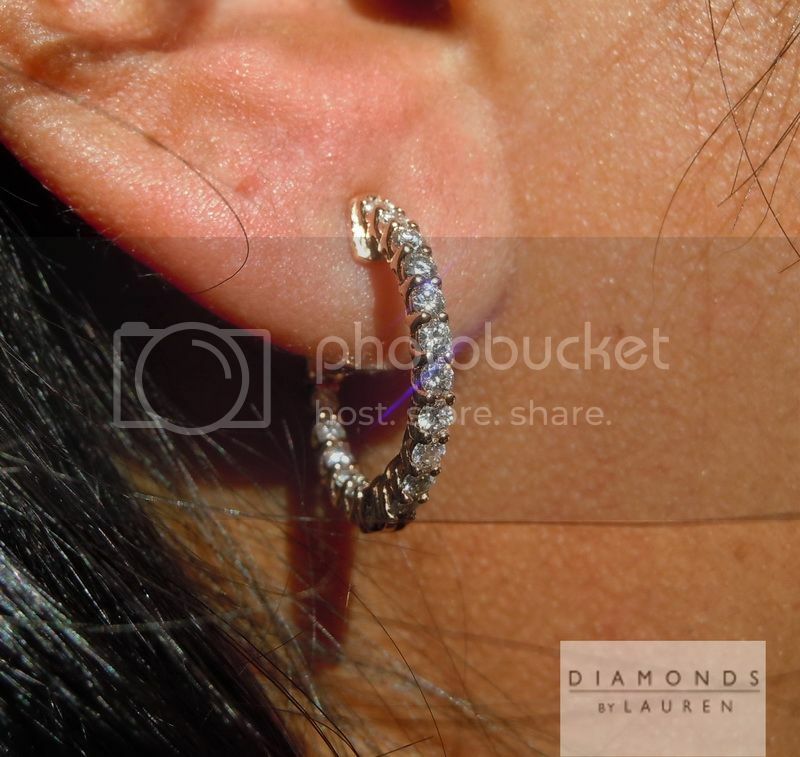 The photos above are ACTUAL Photos of an identical pair to the diamond earrings you will receive.